Beautiful antique rustic kitchen table with drawers and extra work surfaces! Approx. 140 x 79 cms. Very nice table with a lot of possibilities. 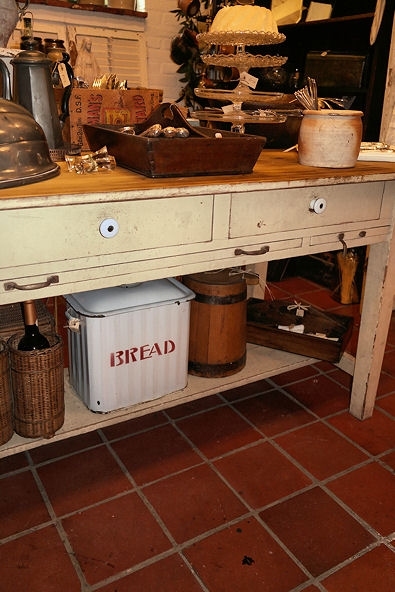 Large and tall enough to sit and eat by, but would be fantastic as a work island in a larger kitchen. 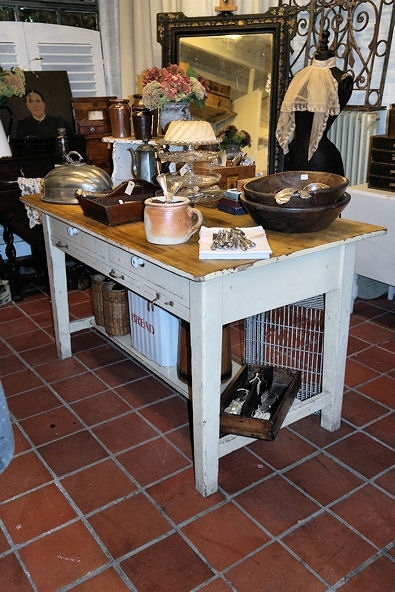 Also great as a table for a hobby or workroom. 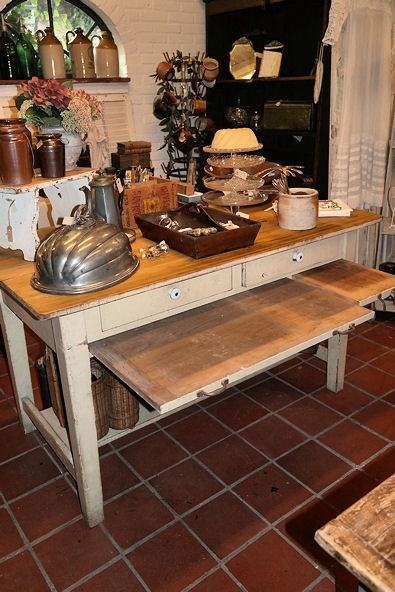 The table has a cream painted frame and a pine top. The legs on the short sides are joined with a large plank between them, ideal for baskets, boxes, etc.. On one long sode the table has two extendable extra work spaces, one large and one small. 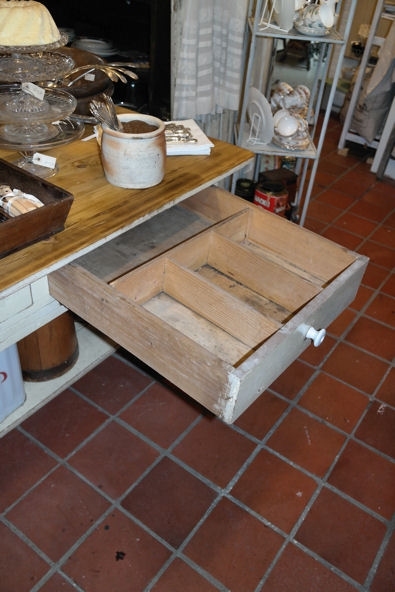 Above those two drawers, one with dividers for cutlery. 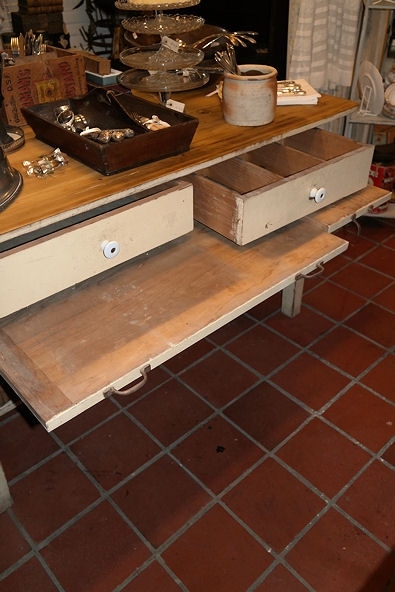 The drawers have porcelain knobs, which are of much more recent date but do look great. One of the handles of the extendable leaves is broken, but this would be easily replaced. Very solid and good table. Height approx. 80 cms.